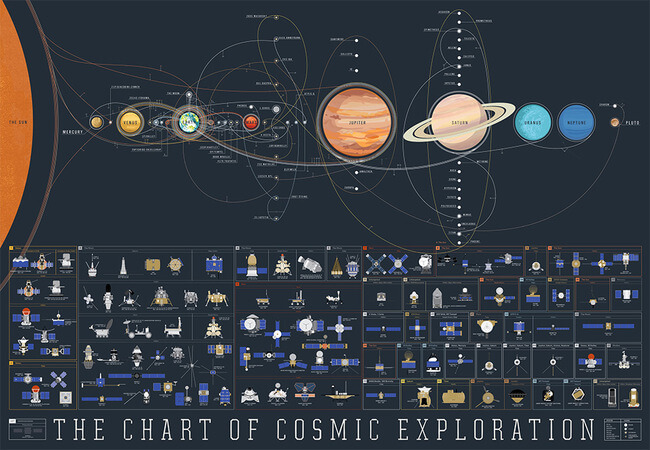 Get a load of this amazing infographic that show every space exploration ever. 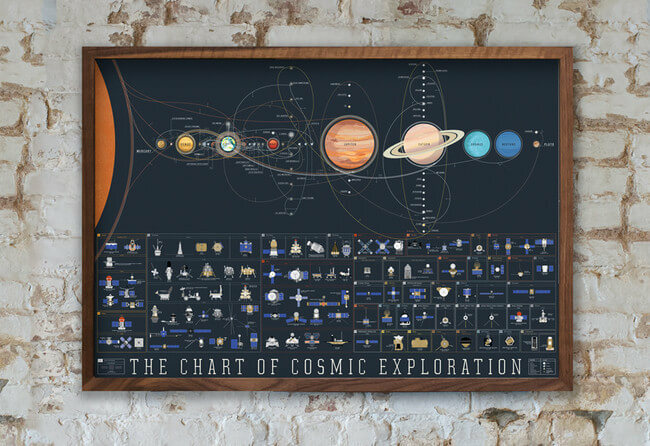 It was made by the guys at Pop Chart Lab so you know it’s good. 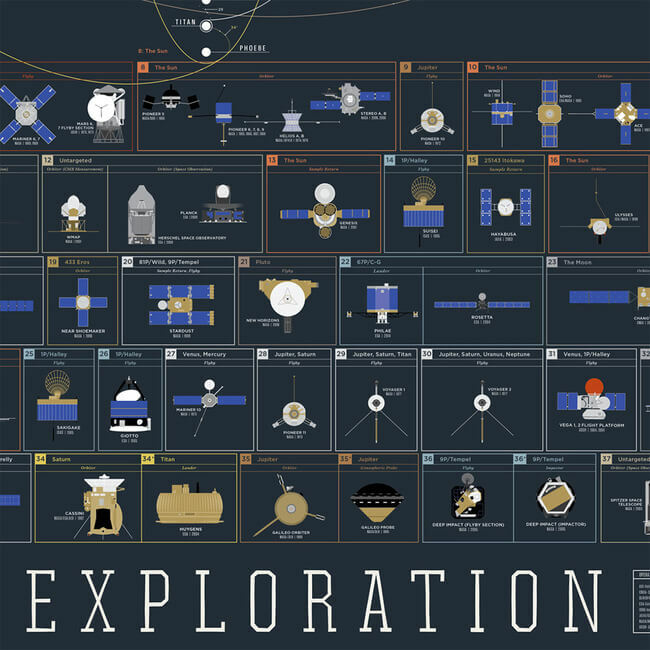 The document documents every exploratory endeavor into space since the Luna 2 mission in 1959 to DSCOVR in 2015. 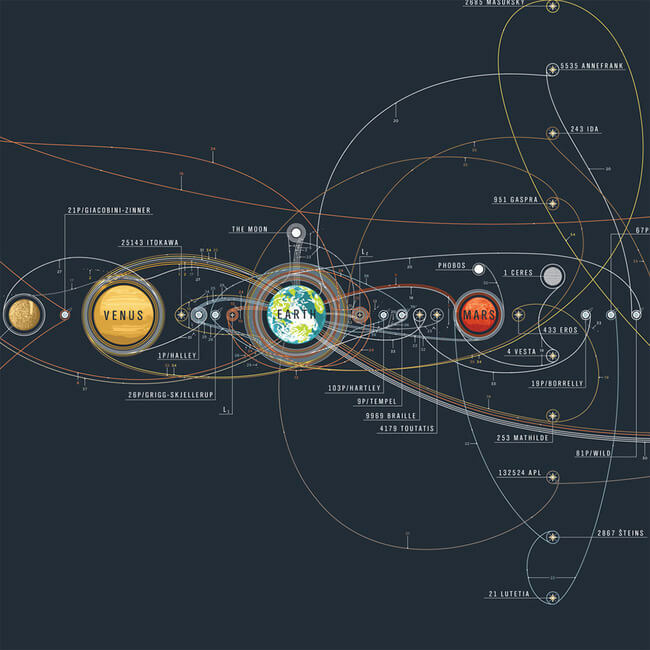 This extremely detailed illustration no only shows the flights paths and orbits around planets, moons, comets and asteroids, it actually shows some 100 exploratory instruments. 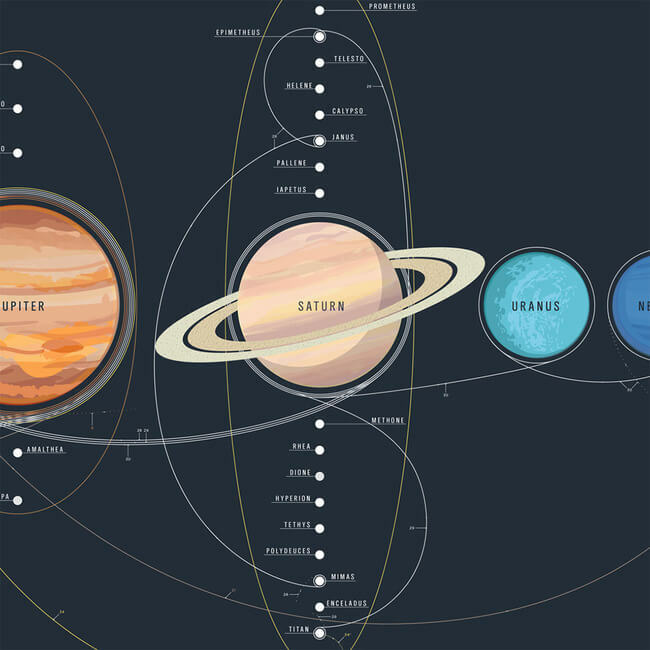 The result is this clear overview of a normally complex subject.